Adult Swim announced today that King Star King, a new original animated series, will premiere all six episodes at once exclusively online on AdultSwim.com on Sunday, June 15. Adventurous fans will also have the chance to win an original piece of art from series creator JJ Villard. King Star King follows the exploits of King Star King, a well-muscled fry cook/space prince and his group of strange heroes: Pooza the perverted duck wizard, Gurbles the bear and Hank Waffles, a living waffle-headed mascot. Watch as they travel through the vast and unstable Gigantiverse in their beloved waffle restaurant, The Waffle Zone. See their unending psychotic and hallucinatory quest to help good things and kill bad things. From creator JJ Villard (Shrek 3, Shrek 4) and executive producer Tommy Blacha (Metalocalypse), King Star King is produced by Titmouse, Inc. (Metalocalypse, The Venture Bros., China, IL, Superjail!). 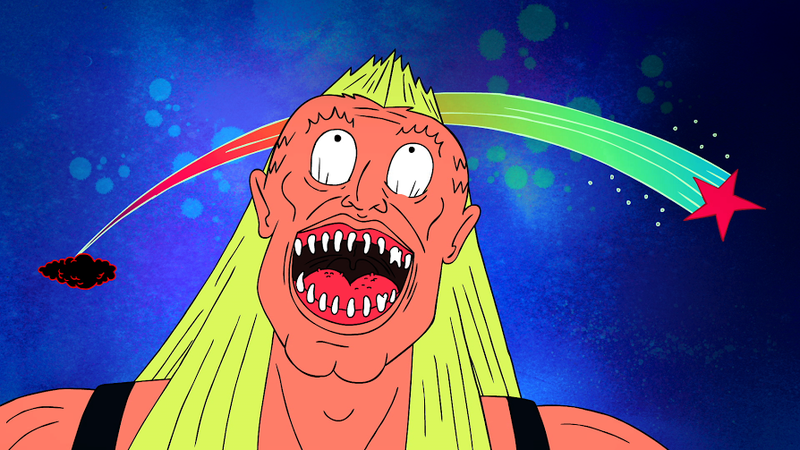 To celebrate the epic digital launch of King Star King, Adult Swim is running a sweepstakes where fans can enter to win one of six wondrous prizes decorated by the steady hand and unstable mind of show creator, JJ Villard. 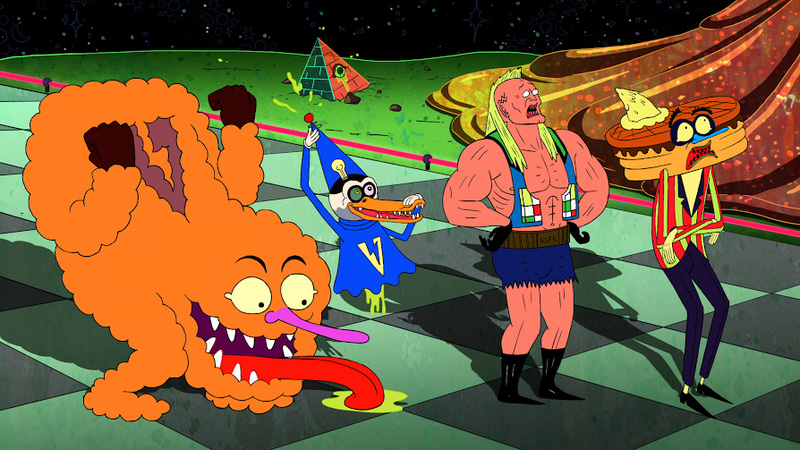 Fans can enter the sweepstakes once per day this week at AdultSwim.com and enjoy the full series premiere on Sunday, June 15. Official rules are available on the website. In a new twist, to unlock the last episode fans will need to play an original game, Floppy King, a playfully irritating roadblock that stands between the final episode of King Star King and the eager eyes of potential viewers. Fans will need to tap or click their way through 10 levels of fun to access the finale.